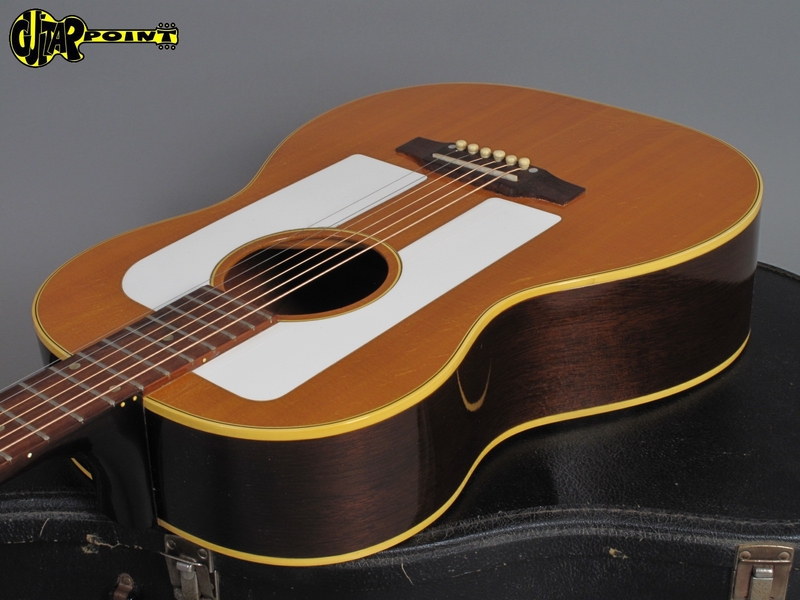 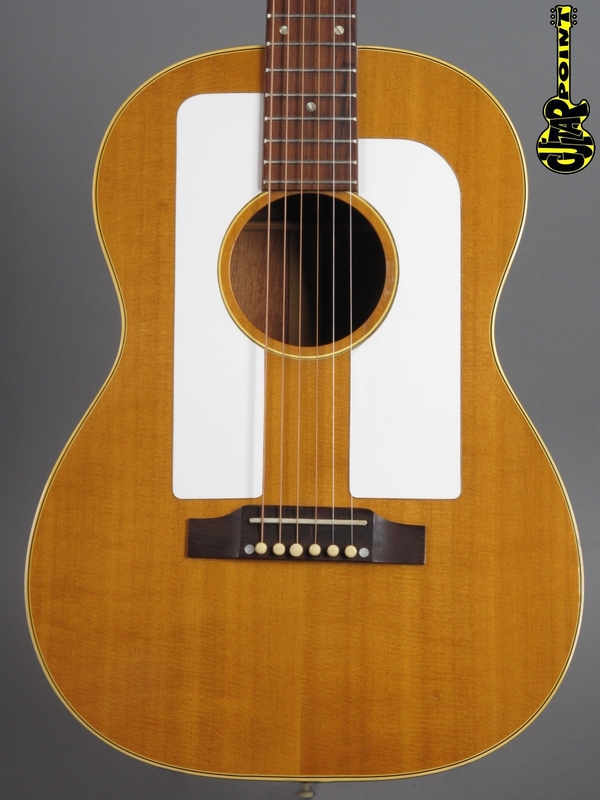 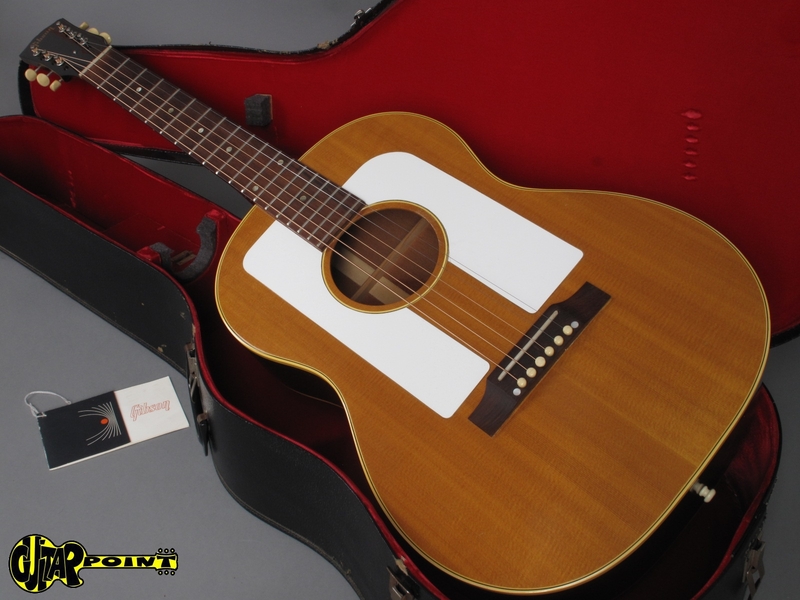 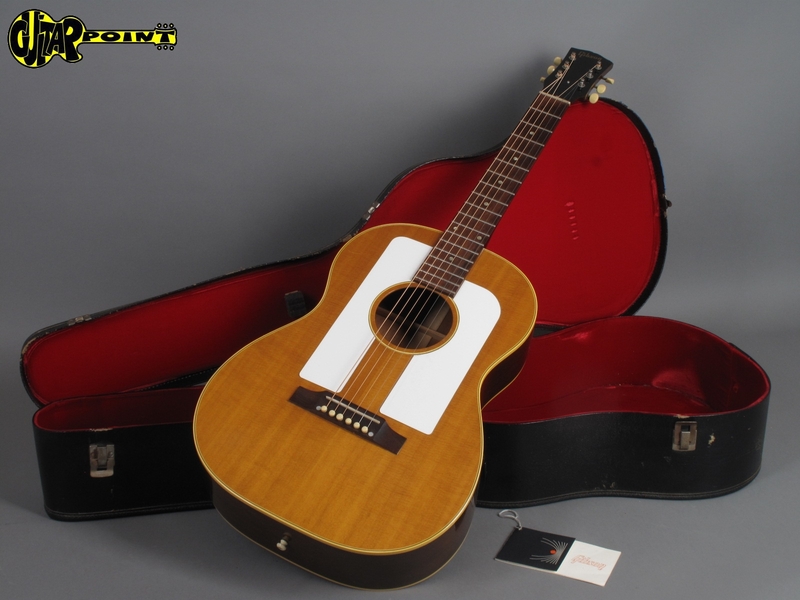 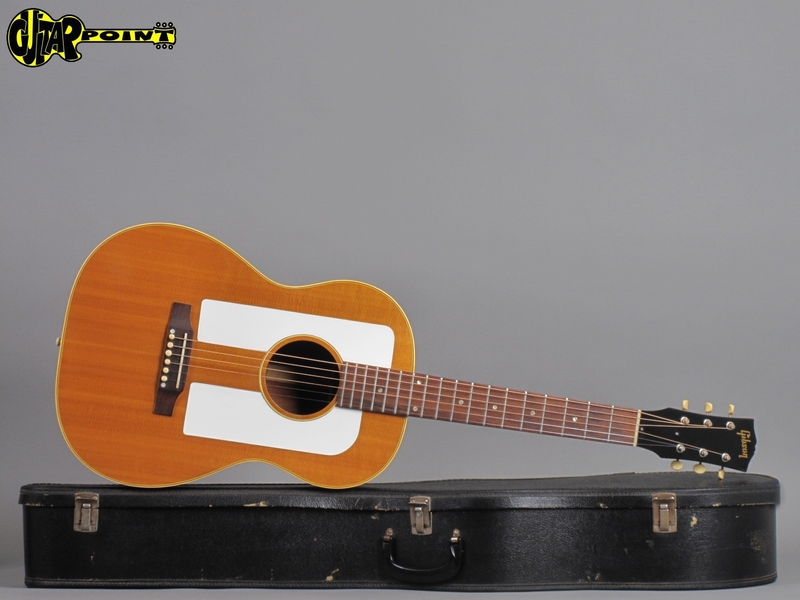 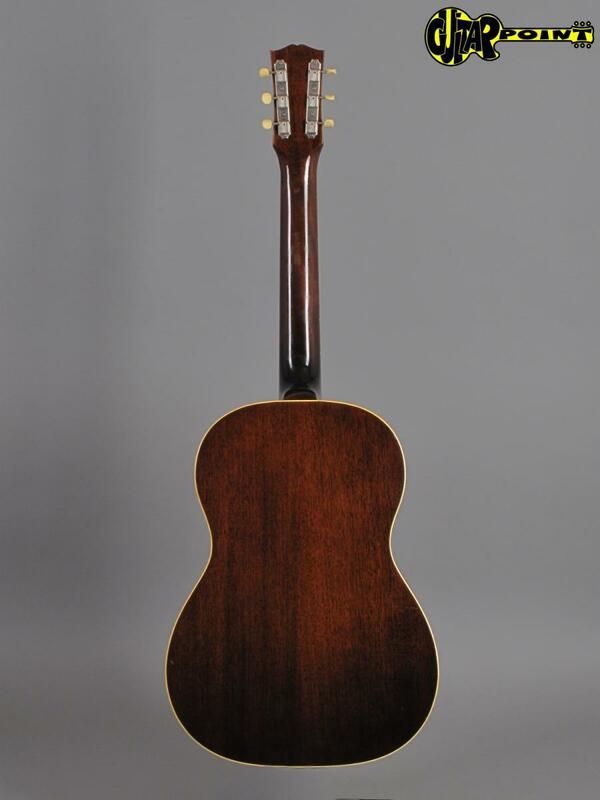 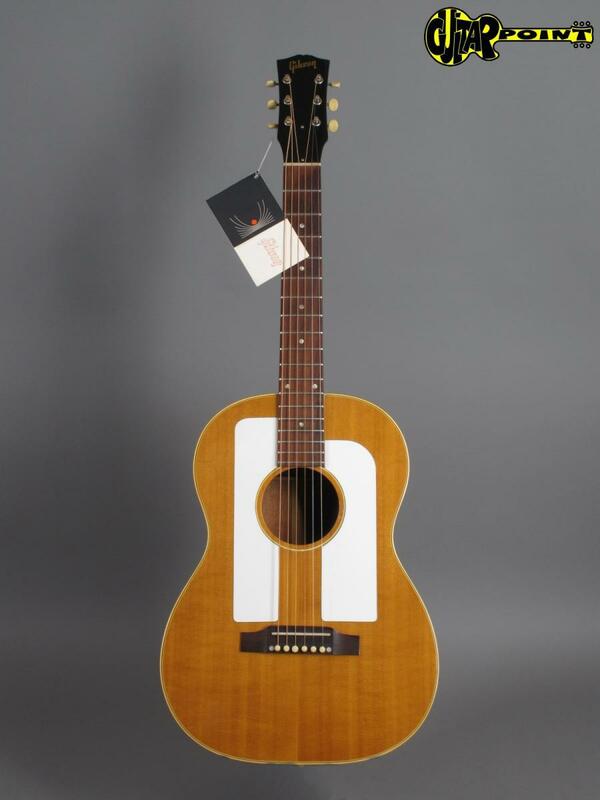 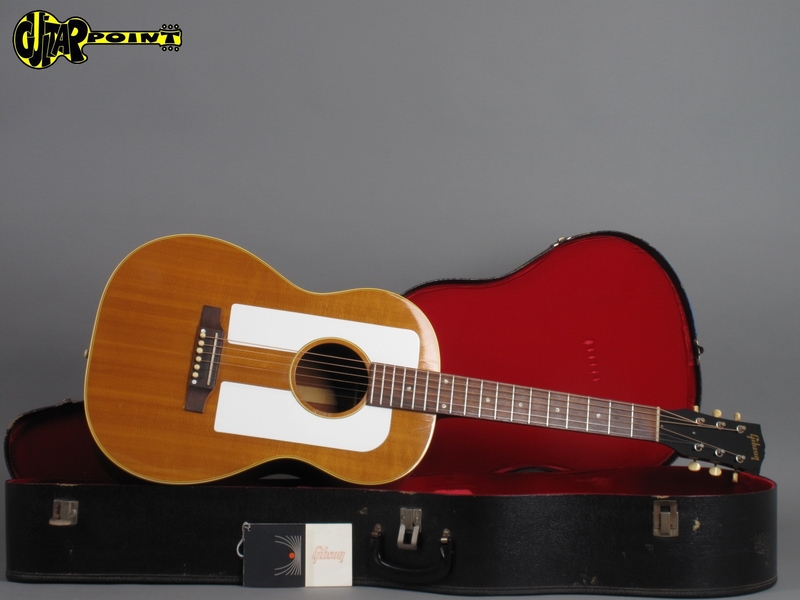 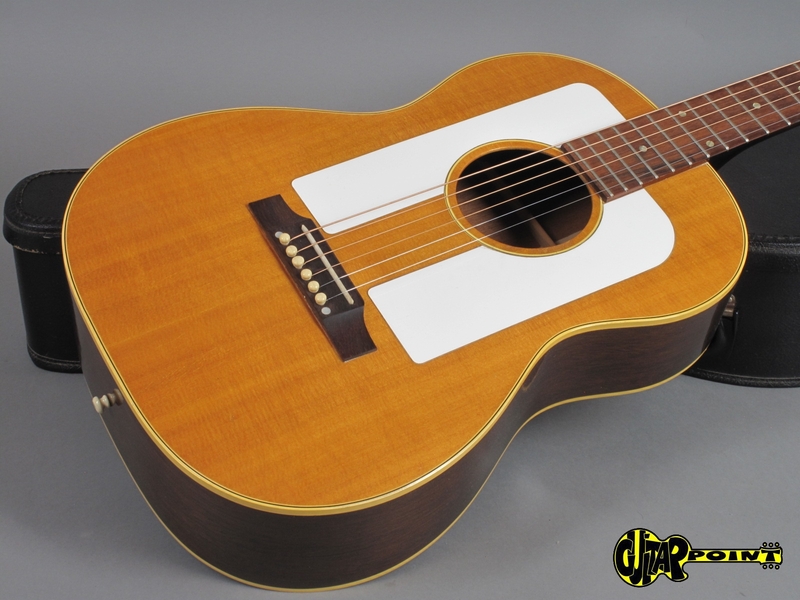 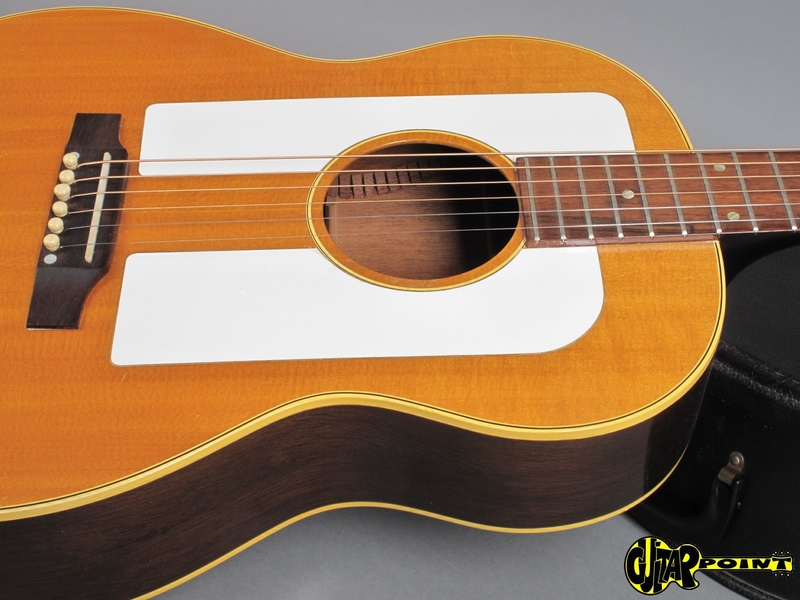 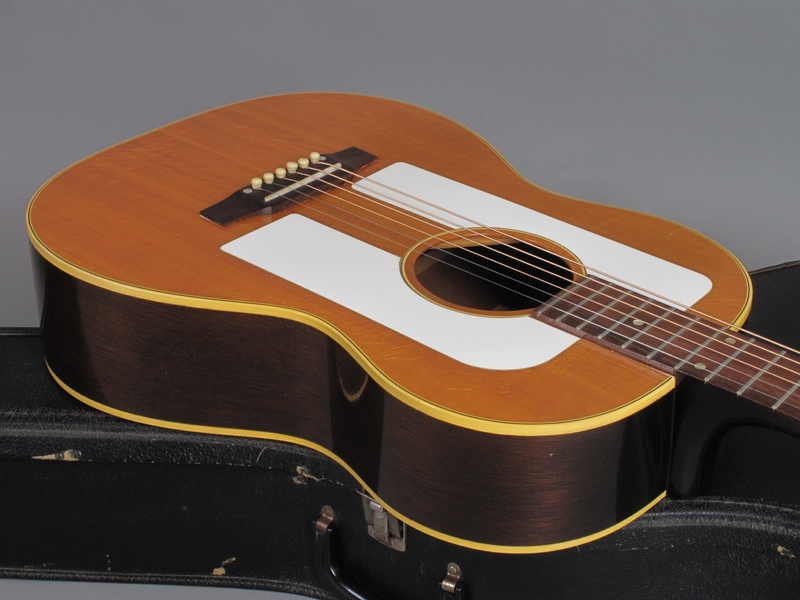 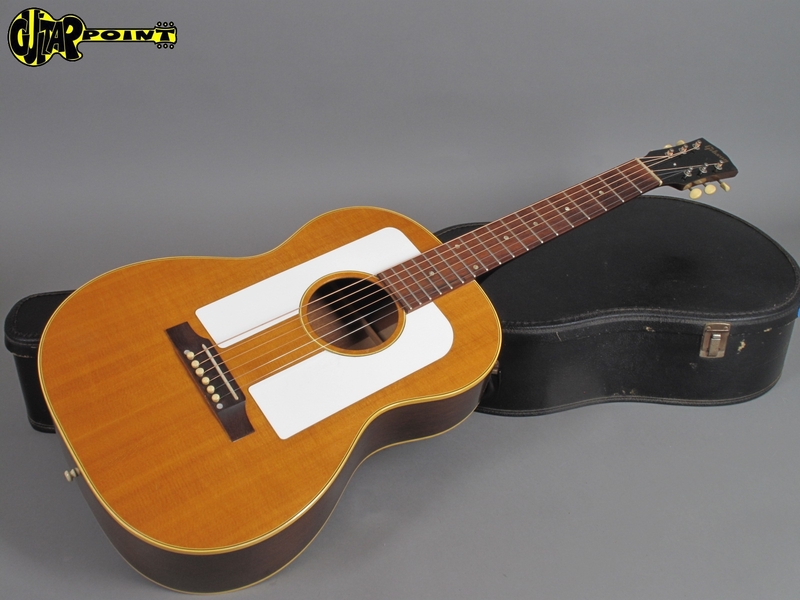 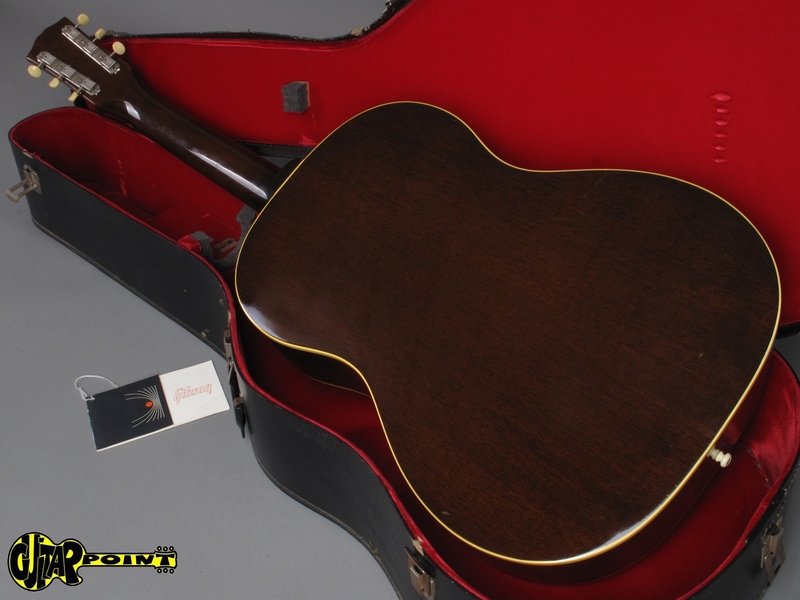 1966 Gibson F-25 Folksinger in Natural finish, all original and in excellent+ condition for its age.The Gibson acoustic F-25 Folksinger guitar has been produced between 1963 - 1971 and was designed with and extra wide 2" nut-width for fingerstyle, but suits for flat picking as well. 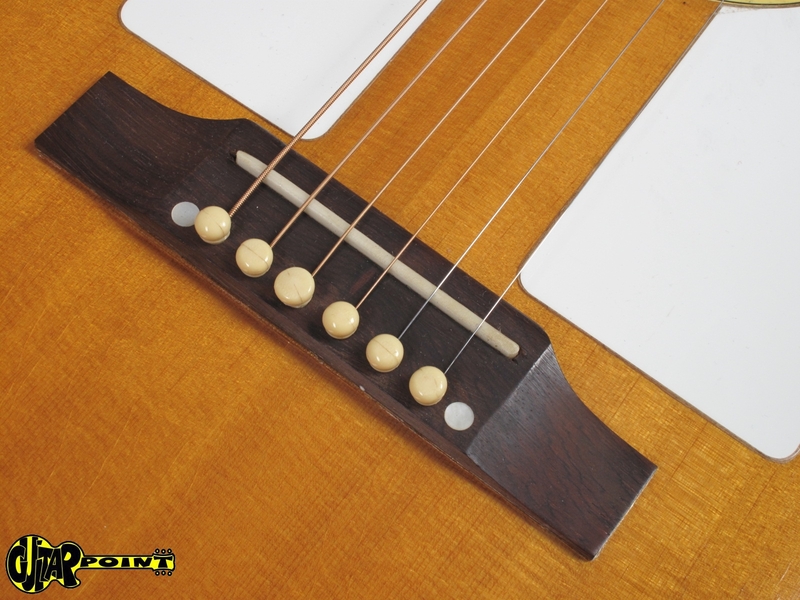 The neck is wide, but not deep, actually very comfortable to play. 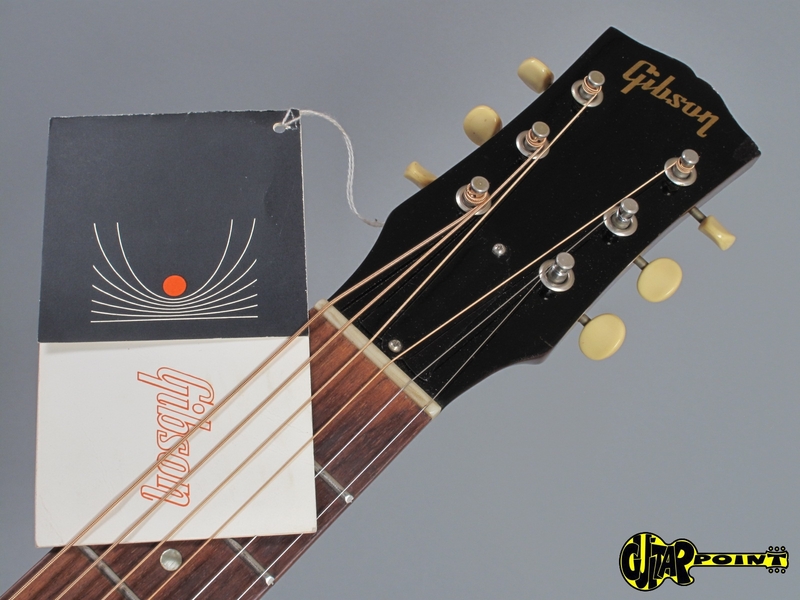 String spacing allows note separation better than most guitars on the market. 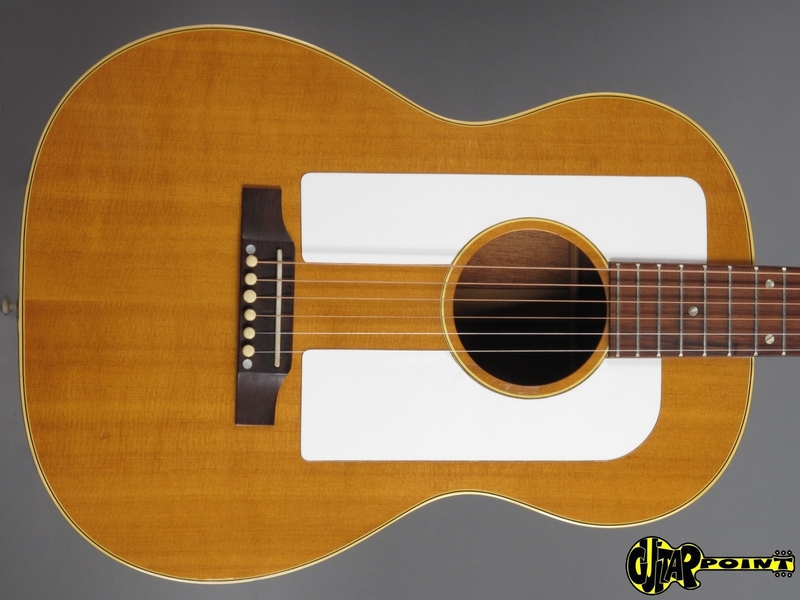 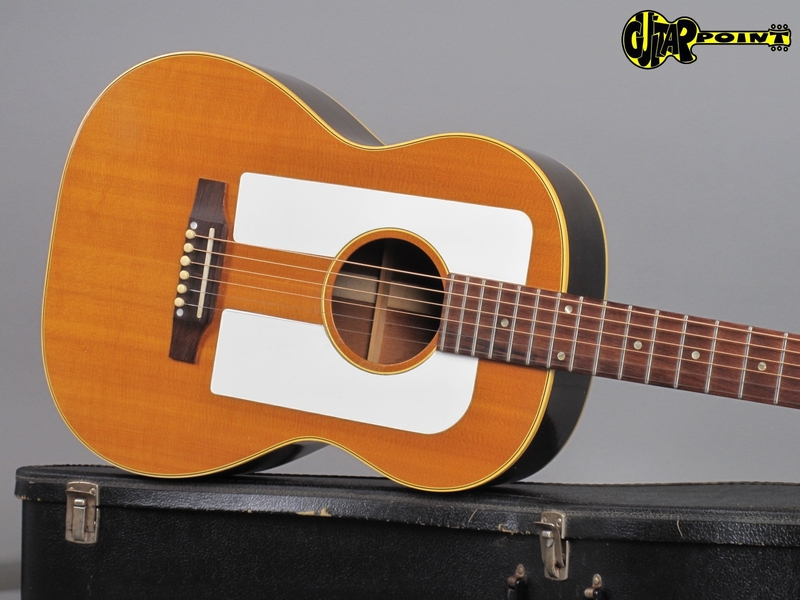 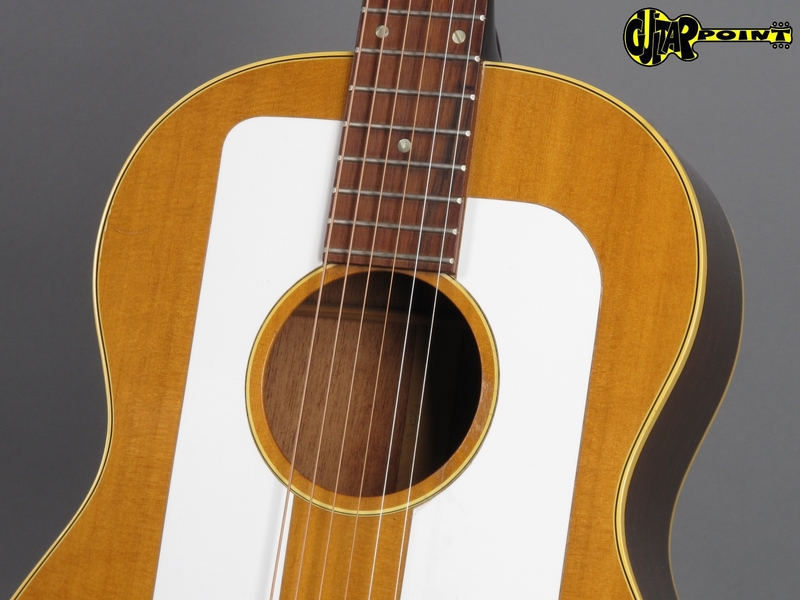 The early to mid 60s models are known for their double white pickguards on the front of the body. 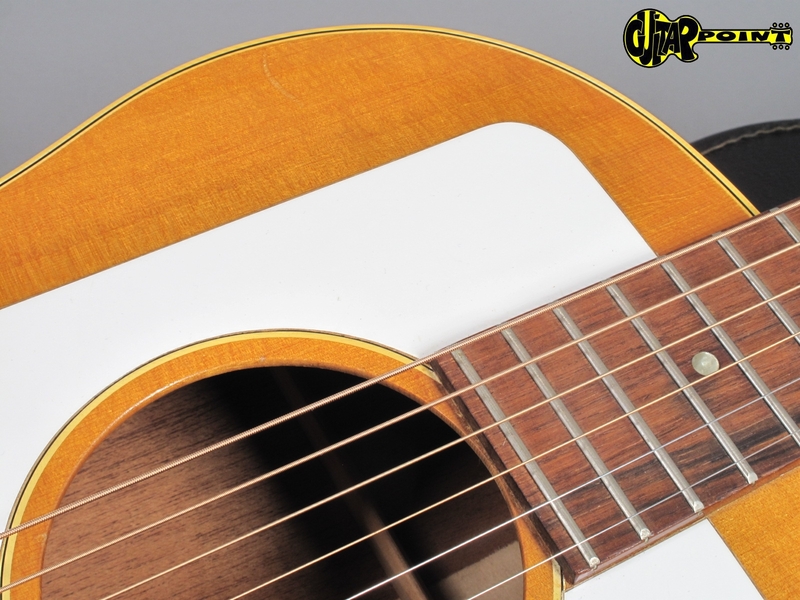 The guitar has barely any visible play-wear, no repairs or cracks, the original first set of frets has barely any wear and will last another lifetime. 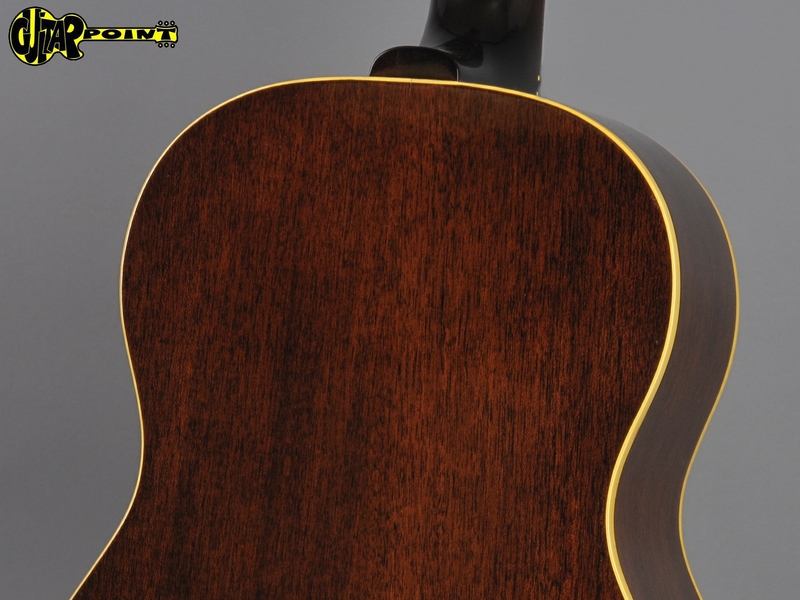 Comes incl. 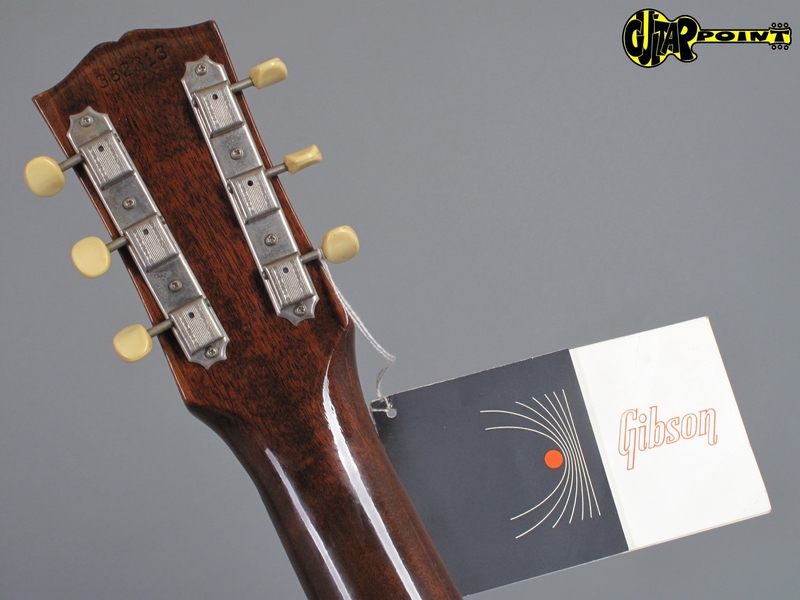 black softshell case and original Gibson Instruction manual.